Gas Hob Installation for £99. Electric Hob. Local Gas Engineer. Gas Hob Installation for £99. Electric Hob. Local Gas Engineer. Evaluate your kitchen and make sure the existing gas/electric connections are safe to use and meet the legal requirements. Safely disconnect the existing hob for free, un-box and check the new product. Perform a full health and safety check, ensuring that safety clearance to surrounding cabinets / worktops are met. Evaluate and connect to the existing gas compression fitting/electric outlet connections, if suitable and meet the correct legal requirements. Verify that the gas supply is gas tight / the electric circuit tested. Test the hob to make sure it‘s working, operational and ready to use to the manufacturer‘s specification and industry standard. We´ll also visually inspect any other gas appliances for safety. Verifies that the hob is safe to use and all safety checks have been done. We´ll not take away or recycle your old hob. It doesn´t include congestion charge, parking, any parts and materials. Your new built-in hob installed and safe to use !!! Servicing a hob, and any other kind of appliances, is not as easy as it may seem, despite appliance guidelines. Thus we highly recommend that you hire a professional engineer to service hob, or gas hob. To install and uninstall or disconnect a appliance yourself is dangerous, and can cause a major hazard to you if the service is not performed correctly, so why risk it when you can call and have one of our trained Local Gas Hob Installation engineers to come and fit hob for a reasonable price? Local gas registered. So if you live in Portsmouth, and have a hob that needs a Gas Hob Installation, or have a hob or gas hob that needs wiring or maintenance work done to it, then Local Gas Hob Installation can give you a safe and reliable service, and we guarantee that Gas Hob Installation will be up and running as soon as possible and will be working for a long time! If you live in Portsmouth and are in need of an gas hob service, hob or Gas Hob Installation, then do not hesitate to contact Local Gas hob Service at local-gas.co.uk, Gas safe registered. If you live in Southampton and have just purchased a hob, why not call your reliable local Gas Hob Installation. Local Gas to professionally install hob using the latest safety devices and equipment. We are the number one installers in Southampton and our aim is always to service installations to the highest and safest requirements possible. We agree with the flame safety device regulations as to assure the safety of your kitchen appliance. Local gas registered. If have just purchased hob and you want to have it installed into your Southampton flat straight away but an offer of a free installation is not available; call Local Gas for a reliable installation that would not put you, or your family, in any kind of danger. Local gas registered. Local Gas, we are more than willing to discuss Gas Hob Installation and offer free advice on your electric hob and other gas installation issues. hob, gas or electric hob or gas hob, needs to be installed and serviced by Gas engineer, thus Local Gas is the perfect choice for your Southampton home. Gas engineer here at Local Gas is of the highest standards of Gas Hob Installation, and we do not stop until we give you the best gas service possible from Gas Hob Installation. Local gas registered. With Gas Hob Installation, there are different factors to consider such as with hob, a 5CM gap should be left to prevent gas and heat damage to hob through the installation process. Gas Hob Installation service, we always carry our equipment and clean up after ourselves for free; and offer the best service that you should expect from us during the Gas Hob Installation. Being polite, trust-worthy and honest is free of charge! gas engineer from local gas registered. So if you are in Southampton are and have a electric hob that needs Gas Hob Installation expertise and to make it efficient and fit into your kitchen perfectly, call us today! Local Gas Engineer. Gas Hob Installation, gas engineer from local gas registered. Making an appointment for a Gas Hob Installation service has never been simpler if you live in Southampton and that is because of our superb Gas Hob Installation service Local Gas. We are the Gas Hob Installation professionals that people over Southampton call and this is thanks to the premium service we provide our customers. Local Gas, Gas safe registered. If you live in Southampton and you need Gas Hob Installation wired or re-wired, if your gas hob is not working or needs a maintenance service, or if you are a landlord in need of an important gas safety certificate that is a legal requirement for any flat, then call us here at Local Gas! Our Gas engineer who have been through years of stringent training and studying are not only pros when it comes to Gas Hob Installation service, but we have endless knowledge on appliances because that is what we have a passion for. Local Gas, Gas safe registered. What we must express here at Local Gas is that if have just purchased a Gas Hob Installation Service, or any other kind of appliance, to not be tempted to install and wire the gas hob or appliance yourself, as this is a dangerous and tricky task. If this task not done under the service of Gas Hob Installation professionals can lead to gas related hazards and accidents. So why risk the safety of your family and Southampton home? If you are in need of a freestanding hob engineer, or you need hob or gas hob replaced or removed, then our qualified Gas Hob Installation engineers are more than willing to provide our high end gas services to you and your family, so call us now for a time that is convenient ! Local Gas, Gas safe registered. Have you recently purchased a freestanding electric hob and live in Portsmouth? Then call Gas Hob Installation Service to provide an expert Gas Hob Installation service! Here at Local Gas we are a notorious gas installation business across Portsmouth and surrounding areas, and we know what your appliance needs! Local Gas. our installers are Gas engineer, which means they have been trained and examined to make sure they do not fail you or your appliance in your Portsmouth home. So if you need hob replaced or removed, your gas hob maintenance checked or your electric hob wiring correcting, Gas hob Connection service is at your service! Our experts at Local Gas are competent and reliable, making it their number one priority at times to ensure the safety of your freestanding hob comes first when connecting everything together; as well as to make sure the freestanding hob is working properly to begin with. Gas Hob Installation should not take too long; especially as our installation experts are highly experienced within the field. We offer the best service and know what you expect from us when we are connecting the freestanding hob in your Portsmouth home. Local Gas. Southampton is an area that Gas Hob Installation engineers value hugely due to the amount of treasured customers that we have in this area. We are called out to this area regularly in order to deliver our award winning Gas Hob Installation service. We never skimp on safety and efficiency when it comes to Gas Hob Installation, and of our clients would vouch for this. So why not call our friendly gas hob installation team and book a time that suits you for our Gas engineer to come and service a gas appliance. Local Gas. There are several steps that are absolutely crucial in making sure the Gas Hob Installation in your Southampton home is to the perfection your kitchen deserves. The old gas hob or gas hob must firstly be removed. The next step Gas Hob Installation experts take when installing a gas hob or any kind of gas appliance that have chosen to be fitted into your flat is to wire to a gas hob and make the appropriate gas and electrical connections. Local Gas. Gas Hob Installation and gas hob maintenance is not easy and should only be handled by Gas engineer professionals who have been adequately trained in gas installation. Having someone who is not competent in gas installation and servicing could cause Gas Hob Installation Service to become a danger to your family and Gas Hob Installation in Southampton home, so why risk it? Local Gas. Portsmouth is an area our gas engineer here at Local Gas often visit as a result of the rapport we have built up with our valuable clients involving Gas Hob Installation service. Gas hob service is second to none and it is a service, amongst the many others we do, that we are extremely proud of. So if you live in Portsmouth, and have a gas hob or dual fuel gas hob, gas hob or gas range that needs our maintenance expertise, then our Portsmouth based company is merely a stone-throw away! Local Gas. Gas Hob Installation is our gas engineer area of expertise. Our qualified team here at Gas Hob Installation is Gas engineer, which is a mandatory law for Gas Hob Installation. As during the Gas Hob Installation, there could be a mistake and gas leak from the gas hob that puts your health, safety and your home in severe danger. Local Gas Engineer. Gas Hob Installation specialists know that Gas Hob Installation in your Portsmouth home, there are certain regulations to follow and we take this to Gas Hob Installation very seriously. Our gas engineer provide the best service, as well as being efficient and competent at an excellent cost too! Local gas registered. Do you need a Gas Hob Installation service and live in Portsmouth? Well Gas Hob Installation is here ! Our Gas Hob Installation is hardworking and efficient so you do not need to worry about us wasting your time, we do the job we are paid for and then we leave your house, knowing that the gas appliance is working safely and your family. Gas Hob Installation your safety is our priority, which is why we use the best in Gas Hob Installation kits and follow gas appliance installation regulations down to a T. Local Gas Engineer. To service a gas hob, and any other kind of gas appliance, is not as easy as it may seem, despite gas appliance guidelines. Thus we highly recommend that you hire a professional Gas Hob Installation to service your gas hob, dual fuel hob or gas hob. To install and disconnect a gas appliance is dangerous, and can cause a major hazard to your home if the service is not performed correctly with gas safety certificate devices, so why risk it when you can call and have one of our trained Gas Hob Installation engineers to come and fit Gas Hob Installation Service for a reasonable price? Local gas limited. So if you live in Portsmouth, and have a Gas Hob Installation Service that needs an Gas Hob Installation service, or have a gas hob or gas hob that needs wiring or maintenance work done to it, Local Gas can give you a safe and reliable service, and we guarantee that the gas appliance will be up and running as soon as possible and will be working for a long time! Hampshire is an area our gas engineer at Gas Hob Installation often visit as a result of the rapport we have built up with our valuable clients involving our Gas Hob Installation Service installation service. Our Gas Hob Installation Service installation is second to none and it is a service, amongst the many others we do, that we are extremely proud of. So if you live in Hampshire, and have a gas hob or dual fuel gas hob, gas hob or gas range that needs our gas maintenance expertise, then our Hampshire based company is merely a stone-throw away! Local gas limited. Gas Hob Installation is our Gas engineer area of expertise. Our qualified team here at Local Gas are Gas engineer, which is a mandatory law when for a Gas Hob Installation. As during the installation/installation, there could be a mistake and gas leak from the Gas Hob Installation Service that puts your health, safety and your home in severe danger. Local gas limited. Local Gas is happy to provide local Gas Hob Installation in the Hampshire areas. All of our local Gas Hob Installation is Gas engineer and take pride in their work. Our local Gas Hob Installation is trained professionals and have years of experience in handling gas related work so you do not need to worry about the efficiency of our work. Local gas limited. Please Book Online and have hob, hob or gas hob installed by the professional Gas safe engineer experts. Once you book an appointment, we will then send our local Gas Hob Installation to your home for installation or disconnect hob, hob or gas hob. Our local Gas Hob Installation is also able to provide you with support and assistance with any concerns you may have regarding gas hob, gas hob. It is required by the law to have any gas appliance fitted or disconnect by a professional, which is why hiring the services of your local Gas Hob Installation is essential. Gas Hob Installation are something our engineers at Local Gas carry out on a daily basis. All of gas engineer Gas safe engineer and have experience with Gas Hob Installation. We provide Gas Hob Installation to customer in London. gas engineer from local gas limited. We deliver our best Gas Hob Installation service and you receive the most effective and reliable service possible at a reasonable price. Our cost for Gas Hob Installation is completely transparent with no hidden charge. Local gas limited. New regulations state that Gas Hob Installation should be installed using rigid copper piping to a safe connection. Gas Hob Installation that have been completed previous to this will check the piping is change to your installation is in line with the safety regulations. Local Gas Engineer. Both our gas engineer and customer service team are always help regarding any Gas Hob Installation that have been completed. We understand that Gas Hob Installation can be a timely and costly process which is why we work hard to provide a top quality service at a low cost price. Local Gas Engineer from local gas limited. A Gas Hob Installation will almost certainly reflect on the quality of workmanship you receive. Cheap deals may attract your attention and get you a Gas Hob Installation at cheaper rates but will not prove beneficial in the long run. Local gas limited. Here is Local Gas we are provide a Gas Hob Installation inclusive labour charges, VAT and any additional work or materials that may be required e.g. extra piping. We aim to provide a Gas Hob Installation that is cheapper for everyones budget. Local Gas Engineer from local gas limited. All of local gas engineer Safe registered and have years of experience working in the industry making Gas Hob Installation best value for money. If you request a Gas Hob Installation, our over the phone customer service team will be happy to help. The Gas Hob Installation for our service is definitely value for money and highly recommended. Go online now to request an appointment at your flat at a day the best to you and we will be blessed to provide you with the details of our services along with the Gas Hob Installation. Finding a professional to conduct Gas Hob Installation can be a long and very strenuous process. Here at Gas Hob Installation we ensure that having a Gas Hob Installation is an easy process from booking an appointment to the arrival of our local gas engineer. We are experts in Gas Hob Installation; however our skills do not stop there. local gas engineer deal with hob, gas hob & Gas Hob Installations,installations, disconnections and servicing. Local Gas Engineer from local gas limited. When having a Gas Hob Installation it is important to your new hob will fit in the space have provided. It is also important when having a Gas Hob Installation that the disconnection is completed safely and securely before the new hob is installed. This will help to there are no leaks when having Gas Hob Installation . With experience in Gas Hob Installation, installation and disconnection we have built a valued reputation. Our experienced engineers are reliable and efficient and have been carrying out their jobs diligently. Our existing customers trust our name and the services we offer. All our gas engineer are qualified and registered with Safe. Local gas limited. You must never try to disconnect your old hob yourself when having a Gas Hob Installation. It illegal but it is also hazardous and your family. If have tried to replace hob and have mistakenly, unnoticeably left a leak from the gas supply then your kitchen can filled with Carbon Monoxide . Carbon Monoxide is colourless, odourless and extremely poisonous . It can kill a person in just few hours. Local gas limited. After Gas Hob Installation, gas engineer is will also take care of the mess and offer any assistance you may need with hob. Pick up your phone and give Local Gas a call to get a quote for the service you require and book your appointment at local-gas.co.uk. A Gas Hob Installation is definitely something that you should not try and complete by yourself as this will mean that you are breaking the regulation and could potentially be posing a serious harm to your family and household. Any Gas Hob Installation must be carried out by engineer who is gas safe engineer and fully qualified. Local Gas Engineer from local gas limited. At Local Gasall of gas Engineer have vast amounts of knowledge and experience in Gas Hob Installation and provide a service. Our gas engineer are gas safe engineer and Gas Hob Installation is something which is second nature to them as they complete Gas Hob Installation on a daily basis. Local gas limited. A Gas Hob Installation should be connected using rigid copper piping. Up until recently it was not a regulation for a hob to be connected using rigid copper piping, a flexible hose was sufficient enough, however regulations have changed and any hob has to be connected using rigid copper piping. Local gas limited. Here is Local Gas our price for a Gas Hob Installation is completely transparent. The Gas Hob Installation service we provide is of highest standard and recommended by our previous customers. If you require further information regarding a Gas Hob Installation then give us a call and one of our friendly customer service team will be more than willing to help. Local Gas Engineer. Local Gas has professional Safe Gas Hob Installation serving London, Portsmouth. Gas Hob Installation are qualified engineers with a professional experience in servicing, installing and disconnecting hobs and hobs. Whatever it is with regards to hob, Gas Hob Installation will deal with it. Local gas limited. Our friendly and trustworthy Gas Hob Installation will ensure a safe and secure Gas Hob Installation at your flat and you also do not have to worry about the mess as Gas Hob Installationwill clean workplace before leaving. Local Gas Engineer from local gas limited. customer hire our services because they trust our work. We even keep a record of our customer feedback so as to help us improve our service. We believe in customer awareness that is why even though Gas Hob Installation work professionally on hob, we provide the safety procedures and installation regulations on our website. Local gas limited. Are you looking for a professional Gas Safe engineer for Gas Hob Installation in your home? Look no further. Here at Local Gas we have fully qualified and fully competent gas engineer who are deal with Gas Hob Installation in your flat as well as being able to provide hob, hob and gas hob installations, disconnections and servicing. Gas Hob Installation in your home you will first check that your new hob is the same size for it to fit into your worktop tightly. Once this has been done our gas engineer can continue with Gas Hob Installation. Through our service and experience, we have gained the trust and respect from customer and they always come back to us for Gas Hob Installation and other services for their appliances. We provide a cheappest service for replacing, installing or Gas Hob Installation. Local gas limited. Gas Hob Installation, Local Gas Engineer from local gas limited. Local Gas have Gas Safe engineers serving London, Portsmouth to provide Gas Hob Installation to individuals requiring our services. Gas Hob Installation is second nature to gas Engineer as they carry Gas Hob Installation on a daily basis. Their Gas Hob Installation knowledge is endless, which is why we are offer such a great service to . Local gas limited. If have recently purchased a hob and looking for a professionals to help you with the Gas Hob Installation that call us today. Gas Hob Installation prices are completely transparent. It is imperative that you never try to complete a Gas Hob Installation yourself as this could consequently cause danger. Just qualified gas engineer is will be make sure that Gas Hob Installation is safe and that there is no leaks after Gas Hob Installation. Gas Hob Installation may seem easy with the instruction book in your hand but connecting the hob to the main supply is the crucial part. Local Gas Engineer from local gas limited. Our experience and record makes us the most popular choice for a Gas Hob Installation company. We aim to arrange an appointment best suited to you. So why hesitate call us today. Local Gas Engineer. Are you looking for a Gas Hob Installation professional? Look no further. Local Gas is proud to offer our highly valued Gas Hob Installation service to all of our customers. Gas Hob Installation Local Gas Engineer are keen to provide top quality, fully professional Gas Hob Installation. We are experts in Gas Hob Installationg and disconnection and also offer inspiection services for hob. We hire gas engineer who are efficient, reliable and qualified. We promise excellent services and professionalism to customer. Local Gas Engineer from local gas limited. Our price for Gas Hob Installation service is competitive yet very reasonable. Gas Hob Installation price is on local-gas.co.uk. We thrive on making customer blessed which is shown in the feedback receive by customer who have previously used Gas Hob Installation service. Local gas limited. At Local Gas we know our business and are flexible with booking your appointment for a prefer time and date . Contact us now to ask for our best rates on Gas Hob Installation or any other hob service that you may require. We offer our services in London. Local Gas Engineer from local gas limited. When Gas Hob Installation in your home you may have a number of concerns about the way Gas Hob Installation should be completed, the cost for Gas Hob Installation, who can Gas Hob Installation, the regulations for Gas Hob Installation. Any question or query have in regards to Gas Hob Installation can be answered by one of our professional team, whether it is over the phone or at the day of Gas Hob Installation. Local Gas is proud to inform you that we have over 10 years of experience in installing, disconnecting and servicing hobs, hobs and gas hobs and are considered professional and trustworthy amongst customer. All of gas Engineer are gas safe engineer and have mastered their skills by continuously providing a dependable and timely service. Local Gas Engineer from local gas limited. Local Gas is proud to offer such a high quality service for Gas Hob Installation in London, Portsmouth. Our purpose is to provide Gas Hob Installation to all of customer at a very reasonable cost. Our charges for Gas Hob Installation are completely transparent on local-gas.co.uk. All of Local Gas Engineer at Local Gas are gas safe engineer and have experience in Gas Hob Installation. We complete hundreds of Gas Hob Installation each week and have built up a valued reputation amongst customer. Gas Hob Installation should be made using rigid copper piping. This has become a new legislation. It is illegal for hob to be connected using a flexible hose. Local Gas Engineer. If have any questions or queries regarding Gas Hob Installation our customer service team will be happy to help. Local Gas Engineer. Gas Hob Installation in your house has just become a whole lot easier. Local Gas Engineer is proud to offer its professional services in Gas Hob Installation. All of gas engineer are gas safe engineer and have acquired professional training to handle . When Gas Hob Installation in your house it is important to that a qualified professional completes this as you are breaking the regulation if letting an un-registered person Gas Hob Installation. At Local Gas Engineer our service for Gas Hob Installation also includes a safety test once hob has been installed. This is to ensure there are no leaks which could have been caused when Gas Hob Installation in your house. All of gas engineer are pleased to offer your advice on Gas Hob Installation and the aftercare of hob to you get maximum usage from your appliance. Local Gas Engineer. Gas Hob Installation is a very intricate process which requires a lot of skill and knowledge, something all of our Local Gas Engineer have. We proud in our work and ensure that when Gas Hob Installation customer are completely satisfied. Local Gas Engineer. 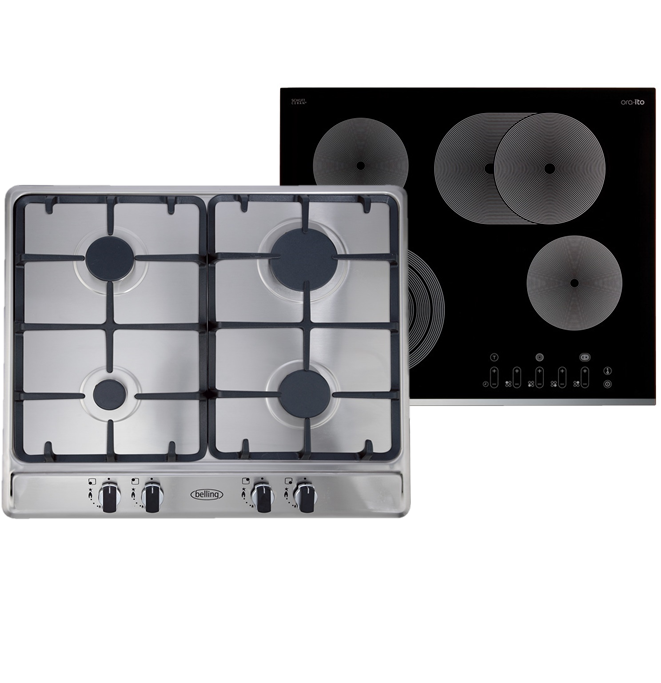 Our prices for Gas Hob Installation are competitive and very good value for money. You will never be hit with any hidden charges. Local Gas Engineer. Book Online now to get a quote and book your appointment for Gas Hob Installation at your given day and we will send our one of our friendly Gas Hob Installation. Are you looking for a Gas Hob Installation to help you Gas Hob Installation? If yes, then look no further. At Local Gas Engineer, we provide customer with the best Gas Hob Installation and disconnecting services at reasonable rates. Local Gas Engineer. All of gas hob connection engineers are qualified and gas safe engineer. So rest assured that when you call us to request an engineer visit at your house, Gas Hob Installation will be carried out by a professional Gas Hob Installation. Whether it is servicing, installation or inspection, we deal with all hob queries. Local Gas Engineer. Our high standard customer service and reliable Gas Hob Installation keep customer coming back to us. We aim to give customer all the answers to their gas hob problems and provide solutions through our efficient service. Local Gas Engineer. All have to do is to make a call to us and we can arrange an appointment with gas hob connection . On the day of your appointment, gas hob connection will visit your house at your given time and offer you his service and possible assistance and support with hob. Local Gas Engineer. Are you looking for a Gas Hob Installation to help you install hob? If yes, then look no further. At Local Gas Engineer, we provide customer with the best Gas Hob Installation and disconnecting services at reasonable rates. Local Gas Engineer. All of our Gas Hob Installation engineers are qualified and gas safe engineer. So rest assured that when you call us to request an engineer visit at your house, Gas Hob Installation service will be carried out by a professional Gas Hob Installation. Whether it is servicing, installation or inspection, we deal with all hob queries. Local Gas Engineer. It is silly that some people try to connect their hob by themselves just to save some money. works can prove to be extremely harmful especially if you are not trained to do so. That is why you should call a professional Gas Hob Installation service as they know the safety precautions in case something goes wrong. If you looking for online to Gas Hob Installation in your home and are looking for engineer professional and reliable, then look no further. Local Gas Engineer has gas engineer serving London and with experience to Gas Hob Installation is second nature. All of our Local Gas Engineer are gas safe engineer so you can be sure that when our gas engineer comes to Gas Hob Installation in your home, it is safe and up to current regulations. Local Gas Engineer is Gas Hob Installation at a very reasonable cost. All our charges for our installation, connections are online. We can Gas Hob Installation in your property at a time and date to suit you as we understand how busy life can get. It is crucial that you never try and Gas Hob Installation yourself without being fully qualified. Gas is one of the most dangerous substances found in the home which is why it needs to be handled by professionals who are competent in what they are doing. Local Gas Engineer. Once our Local Gas Engineer has Gas Hob Installation, they will then test to make sure there are no leaks or defects. Local Gas Engineer. If have any questions or queries or if you want to Gas Hob Installation in your home then please feel free to contact our customer installation, connection team and we will be pleased to help. Have you recently purchased a hob or want to disconnect your old hob to replace it with a new hob and looking for online help with the Gas Hob Installation? Look no further. Local Gas Engineer deal with all the installation, connections required in installation, replacing, disconnecting and Gas Hob Installation. A Gas Hob Installation must be completed by a gas safe engineer engineer. It is against the law to allow friend who is not gas safe engineer to carry out a Gas Hob Installation, gas hob connection or Gas Hob Installation. A professional Gas Safe engineer will ensure that there are no leaks once the Gas Hob Installation is completed. This is something that can easily be overlooked by someone not qualified in completing a Gas Hob Installation. One small fault with the Gas Hob Installation can cause severe consequences Local Gas Engineer. Our engineers are a team of qualified professionals, fully trained to handle all sorts of issues involving Gas Hob Installation and safety. Our gas engineer are efficient and reliable as they understand the customer looking for onlines and provide excellent customer installation, connection. Local Gas Engineer. We are specialist in gas hob, Gas Hob Installation, disconnections and servicing. Our existing customers are committed to us because we provide the best possible installation, connection time after time. Whether you looking for online a Gas Hob Installation, replacement, disconnection or simply some help and assistance with hob, gas hob or Gas Hob Installation, we are there to help you. We offer cheap installation, connection and feedback with a reasonable price. Just pick up your phone and local-gas.co.uk to book an appointment at your convenience. Local Gas Engineer. Gas Safe Register is the official list of engineers who are registered to work safely and legally on gas hob, hob, hob. By law, all engineers must be on the Gas Safe Register. It has replaced CORGI registration. We certified that our boilers, hobs and fires are safe. It is when there is a problem with an appliance that many people never notice of it at all. Servicing a hob, and any other kind of appliances, is not as easy as it may seem, despite appliance guidelines. Thus we highly recommend that you hire a professional engineer to service hob, or gas hob. To install and uninstall or disconnect a appliance yourself is dangerous, and can cause a major hazard to you if the service is not performed correctly, so why risk it when you can call and have one of our trained Local Hob Installation engineers to come and fit hob for a reasonable price? Local gas registered. So if you live in Portsmouth, and have a hob that needs a Hob Installation, or have a hob or gas hob that needs wiring or maintenance work done to it, then Local Hob Installation can give you a safe and reliable service, and we guarantee that Hob Installation will be up and running as soon as possible and will be working for a long time! If you live in Portsmouth and are in need of an gas hob service, hob or Hob Installation, then do not hesitate to contact Local Gas hob Service at local-gas.co.uk, Gas safe registered. If you live in Southampton and have just purchased a hob, why not call your reliable local Hob Installation. Local Gas to professionally install hob using the latest safety devices and equipment. We are the number one installers in Southampton and our aim is always to service installations to the highest and safest requirements possible. We agree with the flame safety device regulations as to assure the safety of your kitchen appliance. Local gas registered. Local Gas, we are more than willing to discuss Hob Installation and offer free advice on your electric hob and other gas installation issues. hob, gas or electric hob or gas hob, needs to be installed and serviced by Gas engineer, thus Local Gas is the perfect choice for your Southampton home. Gas engineer here at Local Gas is of the highest standards of Hob Installation, and we do not stop until we give you the best gas service possible from Hob Installation. Local gas registered. With Hob Installation, there are different factors to consider such as with hob, a 5CM gap should be left to prevent gas and heat damage to hob through the installation process. Hob Installation service, we always carry our equipment and clean up after ourselves for free; and offer the best service that you should expect from us during the Hob Installation. Being polite, trust-worthy and honest is free of charge! gas engineer from local gas registered. So if you are in Southampton are and have a electric hob that needs Hob Installation expertise and to make it efficient and fit into your kitchen perfectly, call us today! Local Gas Engineer. Hob Installation, gas engineer from local gas registered. Making an appointment for a Hob Installation service has never been simpler if you live in Southampton and that is because of our superb Hob Installation service Local Gas. We are the Hob Installation professionals that people over Southampton call and this is thanks to the premium service we provide our customers. Local Gas, Gas safe registered. If you live in Southampton and you need Hob Installation wired or re-wired, if your gas hob is not working or needs a maintenance service, or if you are a landlord in need of an important gas safety certificate that is a legal requirement for any flat, then call us here at Local Gas! Our Gas engineer who have been through years of stringent training and studying are not only pros when it comes to Hob Installation service, but we have endless knowledge on appliances because that is what we have a passion for. Local Gas, Gas safe registered. What we must express here at Local Gas is that if have just purchased a Hob Installation Service, or any other kind of appliance, to not be tempted to install and wire the gas hob or appliance yourself, as this is a dangerous and tricky task. If this task not done under the service of Hob Installation professionals can lead to gas related hazards and accidents. So why risk the safety of your family and Southampton home? If you are in need of a freestanding hob engineer, or you need hob or gas hob replaced or removed, then our qualified Hob Installation engineers are more than willing to provide our high end gas services to you and your family, so call us now for a time that is convenient ! Local Gas, Gas safe registered. Have you recently purchased a freestanding electric hob and live in Portsmouth? Then call Hob Installation Service to provide an expert Hob Installation service! Here at Local Gas we are a notorious gas installation business across Portsmouth and surrounding areas, and we know what your appliance needs! Local Gas. Our experts at Local Gas are competent and reliable, making it their number one priority at times to ensure the safety of your freestanding hob comes first when connecting everything together; as well as to make sure the freestanding hob is working properly to begin with. Hob Installation should not take too long; especially as our installation experts are highly experienced within the field. We offer the best service and know what you expect from us when we are connecting the freestanding hob in your Portsmouth home. Local Gas. Southampton is an area that Hob Installation engineers value hugely due to the amount of treasured customers that we have in this area. We are called out to this area regularly in order to deliver our award winning Hob Installation service. We never skimp on safety and efficiency when it comes to Hob Installation, and of our clients would vouch for this. So why not call our friendly gas Hob Installation team and book a time that suits you for our Gas engineer to come and service a gas appliance. Local Gas. There are several steps that are absolutely crucial in making sure the Hob Installation in your Southampton home is to the perfection your kitchen deserves. The old gas hob or gas hob must firstly be removed. The next step Hob Installation experts take when installing a gas hob or any kind of gas appliance that have chosen to be fitted into your flat is to wire to a gas hob and make the appropriate gas and electrical connections. Local Gas. Hob Installation and gas hob maintenance is not easy and should only be handled by Gas engineer professionals who have been adequately trained in gas installation. Having someone who is not competent in gas installation and servicing could cause Hob Installation Service to become a danger to your family and Hob Installation in Southampton home, so why risk it? Local Gas. Portsmouth is an area our gas engineer here at Local Gas often visit as a result of the rapport we have built up with our valuable clients involving Hob Installation service. Hob Installation is our gas engineer area of expertise. Our qualified team here at Hob Installation is Gas engineer, which is a mandatory law for Hob Installation. As during the Hob Installation, there could be a mistake and gas leak from the gas hob that puts your health, safety and your home in severe danger. Local Gas Engineer. Hob Installation specialists know that Hob Installation in your Portsmouth home, there are certain regulations to follow and we take this to Hob Installation very seriously. Our gas engineer provide the best service, as well as being efficient and competent at an excellent cost too! Local gas registered. Do you need a Hob Installation service and live in Portsmouth? Well Hob Installation is here ! Our Hob Installation is hardworking and efficient so you do not need to worry about us wasting your time, we do the job we are paid for and then we leave your house, knowing that the gas appliance is working safely and your family. Hob Installation your safety is our priority, which is why we use the best in Hob Installation kits and follow gas appliance installation regulations down to a T. Local Gas Engineer. To service a gas hob, and any other kind of gas appliance, is not as easy as it may seem, despite gas appliance guidelines. Thus we highly recommend that you hire a professional Hob Installation to service your gas hob, dual fuel hob or gas hob. To install and disconnect a gas appliance is dangerous, and can cause a major hazard to your home if the service is not performed correctly with gas safety certificate devices, so why risk it when you can call and have one of our trained Hob Installation engineers to come and fit Hob Installation Service for a reasonable price? Local gas limited. So if you live in Portsmouth, and have a Hob Installation Service that needs an Hob Installation service, or have a gas hob or gas hob that needs wiring or maintenance work done to it, Local Gas can give you a safe and reliable service, and we guarantee that the gas appliance will be up and running as soon as possible and will be working for a long time! Hampshire is an area our gas engineer at Hob Installation often visit as a result of the rapport we have built up with our valuable clients involving our Hob Installation Service installation service. Our Hob Installation Service installation is second to none and it is a service, amongst the many others we do, that we are extremely proud of. So if you live in Hampshire, and have a gas hob or dual fuel gas hob, gas hob or gas range that needs our gas maintenance expertise, then our Hampshire based company is merely a stone-throw away! Local gas limited. Hob Installation is our Gas engineer area of expertise. Our qualified team here at Local Gas are Gas engineer, which is a mandatory law when for a Hob Installation. As during the installation/installation, there could be a mistake and gas leak from the Hob Installation Service that puts your health, safety and your home in severe danger. Local gas limited. Local Gas is happy to provide local Hob Installation in the Hampshire areas. All of our local Hob Installation is Gas engineer and take pride in their work. Our local Hob Installation is trained professionals and have years of experience in handling gas related work so you do not need to worry about the efficiency of our work. Local gas limited. Please Book Online and have hob, hob or gas hob installed by the professional Gas safe engineer experts. Once you book an appointment, we will then send our local Hob Installation to your home for installation or disconnect hob, hob or gas hob. Our local Hob Installation is also able to provide you with support and assistance with any concerns you may have regarding gas hob, gas hob. It is required by the law to have any gas appliance fitted or disconnect by a professional, which is why hiring the services of your local Hob Installation is essential. Hob Installation are something our engineers at Local Gas carry out on a daily basis. All of gas engineer Gas safe engineer and have experience with Hob Installation. We provide Hob Installation to customer in London. gas engineer from local gas limited. We deliver our best Hob Installation service and you receive the most effective and reliable service possible at a reasonable price. Our cost for Hob Installation is completely transparent with no hidden charge. Local gas limited. New regulations state that Hob Installation should be installed using rigid copper piping to a safe connection. Hob Installation that have been completed previous to this will check the piping is change to your installation is in line with the safety regulations. Local Gas Engineer. Both our gas engineer and customer service team are always help regarding any Hob Installation that have been completed. We understand that Hob Installation can be a timely and costly process which is why we work hard to provide a top quality service at a low cost price. Local Gas Engineer from local gas limited. A Hob Installation will almost certainly reflect on the quality of workmanship you receive. Cheap deals may attract your attention and get you a Hob Installation at cheaper rates but will not prove beneficial in the long run. Local gas limited. Here is Local Gas we are provide a Hob Installation inclusive labour charges, VAT and any additional work or materials that may be required e.g. extra piping. We aim to provide a Hob Installation that is cheapper for everyones budget. Local Gas Engineer from local gas limited. All of local gas engineer Safe registered and have years of experience working in the industry making Hob Installation best value for money. If you request a Hob Installation, our over the phone customer service team will be happy to help. The Hob Installation for our service is definitely value for money and highly recommended. Go online now to request an appointment at your flat at a day the best to you and we will be blessed to provide you with the details of our services along with the Hob Installation. Finding a professional to conduct Hob Installation can be a long and very strenuous process. Here at Hob Installation we ensure that having a Hob Installation is an easy process from booking an appointment to the arrival of our local gas engineer. We are experts in Hob Installation; however our skills do not stop there. local gas engineer deal with hob, gas hob & Hob Installations,installations, disconnections and servicing. Local Gas Engineer from local gas limited. When having a Hob Installation it is important to your new hob will fit in the space have provided. It is also important when having a Hob Installation that the disconnection is completed safely and securely before the new hob is installed. This will help to there are no leaks when having Hob Installation . With experience in Hob Installation, installation and disconnection we have built a valued reputation. Our experienced engineers are reliable and efficient and have been carrying out their jobs diligently. Our existing customers trust our name and the services we offer. All our gas engineer are qualified and registered with Safe. Local gas limited. You must never try to disconnect your old hob yourself when having a Hob Installation. It illegal but it is also hazardous and your family. If have tried to replace hob and have mistakenly, unnoticeably left a leak from the gas supply then your kitchen can filled with Carbon Monoxide . Carbon Monoxide is colourless, odourless and extremely poisonous . It can kill a person in just few hours. Local gas limited. After Hob Installation, gas engineer is will also take care of the mess and offer any assistance you may need with hob. Pick up your phone and give Local Gas a call to get a quote for the service you require and book your appointment at local-gas.co.uk. A Hob Installation is definitely something that you should not try and complete by yourself as this will mean that you are breaking the regulation and could potentially be posing a serious harm to your family and household. Any Hob Installation must be carried out by engineer who is gas safe engineer and fully qualified. Local Gas Engineer from local gas limited. At Local Gasall of gas Engineer have vast amounts of knowledge and experience in Hob Installation and provide a service. Our gas engineer are gas safe engineer and Hob Installation is something which is second nature to them as they complete Hob Installation on a daily basis. Local gas limited. A Hob Installation should be connected using rigid copper piping. Up until recently it was not a regulation for a hob to be connected using rigid copper piping, a flexible hose was sufficient enough, however regulations have changed and any hob has to be connected using rigid copper piping. Local gas limited. Here is Local Gas our price for a Hob Installation is completely transparent. The Hob Installation service we provide is of highest standard and recommended by our previous customers. If you require further information regarding a Hob Installation then give us a call and one of our friendly customer service team will be more than willing to help. Local Gas Engineer. Local Gas has professional Safe Hob Installation serving London, Portsmouth. Hob Installation are qualified engineers with a professional experience in servicing, installing and disconnecting hobs and hobs. Whatever it is with regards to hob, Hob Installation will deal with it. Local gas limited. Our friendly and trustworthy Hob Installation will ensure a safe and secure Hob Installation at your flat and you also do not have to worry about the mess as Hob Installationwill clean workplace before leaving. Local Gas Engineer from local gas limited. customer hire our services because they trust our work. We even keep a record of our customer feedback so as to help us improve our service. We believe in customer awareness that is why even though Hob Installation work professionally on hob, we provide the safety procedures and installation regulations on our website. Local gas limited. Are you looking for a professional Gas Safe engineer for Hob Installation in your home? Look no further. Here at Local Gas we have fully qualified and fully competent gas engineer who are deal with Hob Installation in your flat as well as being able to provide hob, hob and Hob Installations, disconnections and servicing. Hob Installation in your home you will first check that your new hob is the same size for it to fit into your worktop tightly. Once this has been done our gas engineer can continue with Hob Installation. Through our service and experience, we have gained the trust and respect from customer and they always come back to us for Hob Installation and other services for their appliances. We provide a cheappest service for replacing, installing or Hob Installation. Local gas limited. Hob Installation, Local Gas Engineer from local gas limited. Local Gas have Gas Safe engineers serving London, Portsmouth to provide Hob Installation to individuals requiring our services. Hob Installation is second nature to gas Engineer as they carry Hob Installation on a daily basis. Their Hob Installation knowledge is endless, which is why we are offer such a great service to . Local gas limited. If have recently purchased a hob and looking for a professionals to help you with the Hob Installation that call us today. Hob Installation prices are completely transparent. It is imperative that you never try to complete a Hob Installation yourself as this could consequently cause danger. Just qualified gas engineer is will be make sure that Hob Installation is safe and that there is no leaks after Hob Installation. Hob Installation may seem easy with the instruction book in your hand but connecting the hob to the main supply is the crucial part. Local Gas Engineer from local gas limited. Our experience and record makes us the most popular choice for a Hob Installation company. We aim to arrange an appointment best suited to you. So why hesitate call us today. Local Gas Engineer. Are you looking for a Hob Installation professional? Look no further. Local Gas is proud to offer our highly valued Hob Installation service to all of our customers. Hob Installation Local Gas Engineer are keen to provide top quality, fully professional Hob Installation. We are experts in Hob Installationg and disconnection and also offer inspiection services for hob. We hire gas engineer who are efficient, reliable and qualified. We promise excellent services and professionalism to customer. Local Gas Engineer from local gas limited. Our price for Hob Installation service is competitive yet very reasonable. Hob Installation price is on local-gas.co.uk. We thrive on making customer blessed which is shown in the feedback receive by customer who have previously used Hob Installation service. Local gas limited. At Local Gas we know our business and are flexible with booking your appointment for a prefer time and date . Contact us now to ask for our best rates on Hob Installation or any other hob service that you may require. We offer our services in London. Local Gas Engineer from local gas limited. When Hob Installation in your home you may have a number of concerns about the way Hob Installation should be completed, the cost for Hob Installation, who can Hob Installation, the regulations for Hob Installation. Any question or query have in regards to Hob Installation can be answered by one of our professional team, whether it is over the phone or at the day of Hob Installation. Local Gas is proud to offer such a high quality service for Hob Installation in London, Portsmouth. Our purpose is to provide Hob Installation to all of customer at a very reasonable cost. Our charges for Hob Installation are completely transparent on local-gas.co.uk. All of Local Gas Engineer at Local Gas are gas safe engineer and have experience in Hob Installation. We complete hundreds of Hob Installation each week and have built up a valued reputation amongst customer. Hob Installation should be made using rigid copper piping. This has become a new legislation. It is illegal for hob to be connected using a flexible hose. Local Gas Engineer. If have any questions or queries regarding Hob Installation our customer service team will be happy to help. Local Gas Engineer. Hob Installation in your house has just become a whole lot easier. Local Gas Engineer is proud to offer its professional services in Hob Installation. All of gas engineer are gas safe engineer and have acquired professional training to handle . When Hob Installation in your house it is important to that a qualified professional completes this as you are breaking the regulation if letting an un-registered person Hob Installation. At Local Gas Engineer our service for Hob Installation also includes a safety test once hob has been installed. This is to ensure there are no leaks which could have been caused when Hob Installation in your house. All of gas engineer are pleased to offer your advice on Hob Installation and the aftercare of hob to you get maximum usage from your appliance. Local Gas Engineer. Hob Installation is a very intricate process which requires a lot of skill and knowledge, something all of our Local Gas Engineer have. We proud in our work and ensure that when Hob Installation customer are completely satisfied. Local Gas Engineer. Our prices for Hob Installation are competitive and very good value for money. You will never be hit with any hidden charges. Local Gas Engineer. Book Online now to get a quote and book your appointment for Hob Installation at your given day and we will send our one of our friendly Hob Installation. Are you looking for a Hob Installation to help you Hob Installation? If yes, then look no further. At Local Gas Engineer, we provide customer with the best Hob Installation and disconnecting services at reasonable rates. Local Gas Engineer. All of gas hob connection engineers are qualified and gas safe engineer. So rest assured that when you call us to request an engineer visit at your house, Hob Installation will be carried out by a professional Hob Installation. Whether it is servicing, installation or inspection, we deal with all hob queries. Local Gas Engineer. Our high standard customer service and reliable Hob Installation keep customer coming back to us. We aim to give customer all the answers to their gas hob problems and provide solutions through our efficient service. Local Gas Engineer. Are you looking for a Hob Installation to help you install hob? If yes, then look no further. At Local Gas Engineer, we provide customer with the best Hob Installation and disconnecting services at reasonable rates. Local Gas Engineer. All of our Hob Installation engineers are qualified and gas safe engineer. So rest assured that when you call us to request an engineer visit at your house, Hob Installation service will be carried out by a professional Hob Installation. Whether it is servicing, installation or inspection, we deal with all hob queries. Local Gas Engineer. It is silly that some people try to connect their hob by themselves just to save some money. works can prove to be extremely harmful especially if you are not trained to do so. That is why you should call a professional Hob Installation service as they know the safety precautions in case something goes wrong. If you looking for online to Hob Installation in your home and are looking for engineer professional and reliable, then look no further. Local Gas Engineer has gas engineer serving London and with experience to Hob Installation is second nature. All of our Local Gas Engineer are gas safe engineer so you can be sure that when our gas engineer comes to Hob Installation in your home, it is safe and up to current regulations. Local Gas Engineer is Hob Installation at a very reasonable cost. All our charges for our installation, connections are online. We can Hob Installation in your property at a time and date to suit you as we understand how busy life can get. It is crucial that you never try and Hob Installation yourself without being fully qualified. Gas is one of the most dangerous substances found in the home which is why it needs to be handled by professionals who are competent in what they are doing. Local Gas Engineer. Once our Local Gas Engineer has Hob Installation, they will then test to make sure there are no leaks or defects. Local Gas Engineer. If have any questions or queries or if you want to Hob Installation in your home then please feel free to contact our customer installation, connection team and we will be pleased to help. Have you recently purchased a hob or want to disconnect your old hob to replace it with a new hob and looking for online help with the Hob Installation? Look no further. Local Gas Engineer deal with all the installation, connections required in installation, replacing, disconnecting and Hob Installation. A Hob Installation must be completed by a gas safe engineer engineer. It is against the law to allow friend who is not gas safe engineer to carry out a Hob Installation, gas hob connection or Hob Installation. A professional Gas Safe engineer will ensure that there are no leaks once the Hob Installation is completed. This is something that can easily be overlooked by someone not qualified in completing a Hob Installation. One small fault with the Hob Installation can cause severe consequences Local Gas Engineer. Our engineers are a team of qualified professionals, fully trained to handle all sorts of issues involving Hob Installation and safety. Our gas engineer are efficient and reliable as they understand the customer looking for onlines and provide excellent customer installation, connection. Local Gas Engineer. We are specialist in gas hob, Hob Installation, disconnections and servicing. Our existing customers are committed to us because we provide the best possible installation, connection time after time. Whether you looking for online a Hob Installation, replacement, disconnection or simply some help and assistance with hob, gas hob or Hob Installation, we are there to help you. We offer cheap installation, connection and feedback with a reasonable price. Just pick up your phone and local-gas.co.uk to book an appointment at your convenience. Local Gas Engineer. Local Gas Limited offers a Gas Hob Installation. Whatever type of gas hob you require, we do Gas Hob Installation for all type of hob, built in hob. Its important to follow the regulation on Gas Hob Installation to get highest standard and safety. Gas Hob Installation are a very niche company so all of our engineers are much specialised in what they do. The engineers all receive ongoing product training on all the current, popular makes and models of hobs and are kept up to date with any new regulations that are coming into practice at all times. Some of the services we offer are Gas Hob Installation and disconnections, gas safety certificates and boiler services. A Gas Hob Installation can often be difficult if not done properly by a qualified gas safe engineer. Here at Gas Hob Installation, we offer a premium service and we will only give you a qualified gas safe engineer who is registered with gas safe. When it comes to any gas appliances it can be dangerous work, so by ensuring you have your Gas Hob Installation done by our registered professionals, you can be assured they will check for any problems with Gas Hob Installation and also check for any gas leakages. Once they have checked this, they can also give you a gas safety certificate (CP12) if you request it on completion of your Gas Hob Installation. This is a separate service and we can do deals on gas safety certificate if you get it with Gas Hob Installation. We understand here at Gas Hob Installation that when you receive your new hob it can often be confusing. So don't stress! Leave it to us to ensure that Gas Hob Installation goes smoothly and you have nothing to worry about. Our competitive prices make it hard for you to refuse! An incorrect Gas Hob Installation may affect the product guarantee, as well as your insurance policy. Worst still, if you dont have the annual Gas Safe Certificate for your property it could invalidate your household insurance claim. Your safety is the number one priority; it is dangerous to tamper with a Gas Hob Installation because gas can be lethal. So give us a call on 077 387 09 387. It is quick, easy and simple to book and you can also receive a free quote. Remember your safety is the most important thing. Do not risk your life; do not save couple of coins to request Gas Hob Installation by cowboys, illegal gas installer. Do you have trouble finding someone when you need an Gas Hob Installation? Well we at Gas Hob Installation have professional, polite, punctual gas safe registered engineers who have many years experience installing a gas hob and can install gas hob for you so why wait? When installing a gas hob, it is advisable to have your current hob disconnected safely with a Gas Safe registered engineer. Our engineers can do this for you and make sure gas connection is disconnected safely to make way for your new Gas Hob Installation. When an Gas Hob Installation is taking place, gas hob would be turned off from the mains gas supply. This is to ensure there are no gas leaks when your hob is being installed. gas engineer is will then connect your hob to the gas supply using a copper pipe and once they are convinced the hob is connected to a safe standard, they will switch gas supply back on and test hob to see that everything is working accordingly. An Gas Hob Installation need not be a complicated process for you. Let our gas safe registered engineers execute gas Gas Hob Installation for you and you will be able to use hob in confidence. So for more information or for general enquiries make sure you call Gas Hob Installation on 077 387 09 387. Alternatively, email us at [email protected]. Remember that it is always risky if hob is not installed by a qualified gas safe registered engineer so be safe and call Gas Hob Installation. Local Gas Limited offers a hob installation. Whatever type of gas hob you require, we do hob installation for all type of hob, built in hob. Its important to follow the regulation on hob installation to get highest standard and safety. hob installation are a very niche company so all of our engineers are much specialised in what they do. The engineers all receive ongoing product training on all the current, popular makes and models of hobs and are kept up to date with any new regulations that are coming into practice at all times. Some of the services we offer are hob installation and disconnections, gas safety certificates and boiler services. A hob installation can often be difficult if not done properly by a qualified gas safe engineer. Here at hob installation, we offer a premium service and we will only give you a qualified gas safe engineer who is registered with gas safe. When it comes to any gas appliances it can be dangerous work, so by ensuring you have your hob installation done by our registered professionals, you can be assured they will check for any problems with hob installation and also check for any gas leakages. Once they have checked this, they can also give you a gas safety certificate (CP12) if you request it on completion of your hob installation. This is a separate service and we can do deals on gas safety certificate if you get it with hob installation. We understand here at hob installation that when you receive your new hob it can often be confusing. So don't stress! Leave it to us to ensure that hob installation goes smoothly and you have nothing to worry about. Our competitive prices make it hard for you to refuse! An incorrect hob installation may affect the product guarantee, as well as your insurance policy. Worst still, if you dont have the annual Gas Safe Certificate for your property it could invalidate your household insurance claim. Your safety is the number one priority; it is dangerous to tamper with a hob installation because gas can be lethal. So give us a call on 077 387 09 387. It is quick, easy and simple to book and you can also receive a free quote. Remember your safety is the most important thing. Do not risk your life; do not save couple of coins to request hob installation by cowboys, illegal gas installer. Do you have trouble finding someone when you need an Hob Installation? Well we at Hob Installation have professional, polite, punctual gas safe registered engineers who have many years experience installing a hob and can install hob for you so why wait? When installing a hob, it is advisable to have your current hob disconnected safely with a Gas Safe registered engineer. Our engineers can do this for you and make sure gas connection is disconnected safely to make way for your new Hob Installation. When an Hob Installation is taking place, gas hob would be turned off from the mains gas supply. This is to ensure there are no gas leaks when your hob is being installed. gas engineer is will then connect your hob to the gas supply using a copper pipe and once they are convinced the hob is connected to a safe standard, they will switch gas supply back on and test hob to see that everything is working accordingly. An Hob Installation need not be a complicated process for you. Let our gas safe registered engineers execute gas Hob Installation for you and you will be able to use hob in confidence. So for more information or for general enquiries make sure you call Hob Installation on 077 387 09 387. Alternatively, email us at [email protected]. Remember that it is always risky if hob is not installed by a qualified gas safe registered engineer so be safe and call Hob Installation.